Let’s face it, a John Cooper Works Mini is basically a go-cart for adults. What these cars lack in sheer horsepower, they make up for in maneuverability and fun. They also happen to sit low to the ground and have painted surfaces close to the roadway as well. As a result, the lower painted surfaces often become damaged with chips and damage from rocks and road debris. This owner wanted to fully enjoy all that this car had to offer while keeping it protected from this damage. After consultation with the owner, the decision was made follow an automotive paint correction, protection and preservation program. We started by giving the car a deep foam decontamination bath. This allows us to get all contaminants off of the painted surface so that we can truly see what areas needed the attention of automotive paint correction. The paint correction removes and defects in the paint and leaves a pristine surface ready for paint protection and preservation. You can see from the pictures below the significant change from the before and after the paint correction step. Once the paint was corrected, we move onto our signature custom paint protection film application to the entire front end. We pride ourselves in working with both bulk material and pre-cut kits to give the vehicle terrific protective coverage while basically disappearing on the car. This is a result of us removing trim to cover or hide any seams or edges. You can see how thorough we are in making sure you get protection in a visually pleasing way in the pics below. Once the front end was protected, we moved to the preservation phase by applying a professional ceramic paint coating to all exterior painted surfaces. This coating will not only keep the surface looking great and protecting it from environmental damage, it will make the vehicle much easier to keep clean. To seal this process, the car spends the final part of the process allowing the ceramic coating to fully cure under our infra-red lighting. Once the ceramic paint coating was fully cured, the vehicle is ready to be delivered. Just look at the final pics. This car is as stunning as it is fun to drive. Whether you have an exotic supercar, a fun car like this Mini, a hard working truck or just a daily driver, Jay’s Detail Studio can help correct it, protect it and preserve it. Contact us today by calling (210) 863-1633. You can also contact us or book an appointment by visiting our page located HERE. 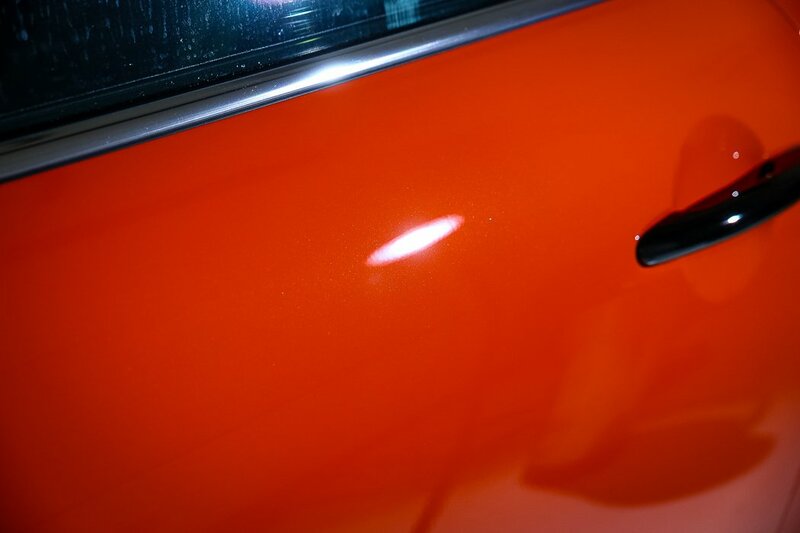 Find out why Jay’s Detail Studio is the premier source for automotive paint correction, paint protection and ceramic paint coatings in the San Antonio and Austin, Texas area. XPEL did a fantastic job on my 2017 BMW M4, very expensive though. I also have a 2017 JCW Mini Cooper that belongs to my wife, how much to get the protective film done on the front end? I live in San Antonio, my cell is 520-834-6545 and my name is Mike.